This busy butterfly has been toying with changing her name from Ascending Butterfly to Social Butterfly and with good reason, all this running around and event hopping means certain things have been un-attended for awhile, like ahem, shopping for personal items! I've run out some essentials and decided it was time to kill two birds with one stone. This is the first sign I saw as soon as I hit my local Duane Reade, perfect reminder! On September 16, the Duane Reade FlexRewards Program was converted to the Balance Rewards Program, and since I'm a Duane Reade VIP Blogger and Blogger Brand Ambassador, I had been meaning to swap out and switch to the new card WAY sooner, but my schedule has been absolutely insane, and while there are Duane Reade's nearly everywhere, I just hadn't had the time to stop in and actually do it. Ever since my Medical Nightmare that began last year, I've upped my dietary supplements and vitamins, and realized that I was out of Krill Oil, and I was also out of Red Lipstick! Now red is my daily signature lip color, some people can pull it off, others can't, for me, it's a custom blend look that includes several different varieties of red colors and gloss that help me get to my desired shade. 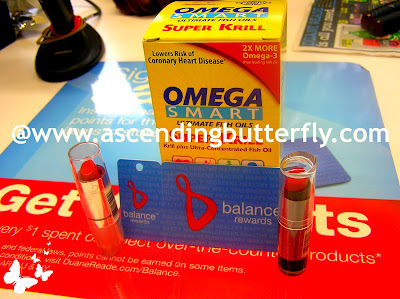 Aside from the heart health benefits of Krill Oil (which you also get from certain foods including Salmon, my personal favorite), I also find it gives me an energy boost. And I’m all for finding healthy ways to get a good energy boost! (Since my work out routine is still ammended dietary supplements are super important for me especially right now). Another reminder, there was one on BOTH the left and right hand side of the store entrance! I wasn’t sure if I was supposed to swap cards first, or make my purchases first, but I ultimately decided that it should be OK to just shop first and then do everything at the register. And it worked out just fine! Bye Bye Old Friend! If cards could talk! Parting is such sweet, rewarding sorrow! Getting Rewarded for Everyday Purchases Could Not Be Easier! 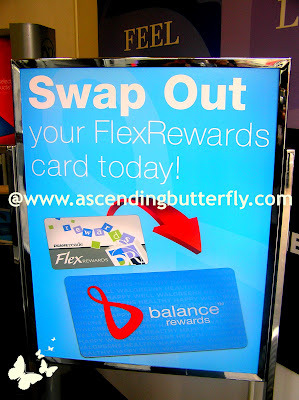 Ƹ̵̡Ӝ̵̨̄Ʒ - Balance Rewards keeps some of the most popular features of FlexRewards such as exclusive savings for members and the opportunity to earn points and redeem rewards, while giving customers even more benefits. Ƹ̵̡Ӝ̵̨̄Ʒ - The Balance Rewards program is now active at both Duane Reade and Walgreens. Duane Reade customers can now earn and redeem points at over 7,900 stores nationwide. Ƹ̵̡Ӝ̵̨̄Ʒ - Customers can join Balance Rewards at any Duane Reade or Walgreens store at the checkout counter, pharmacy and photo kiosk. They can also sign up online at duanereade.com/balance or on their mobile phone via the upcoming Duane Reade Mobile Application due for release early 2013. 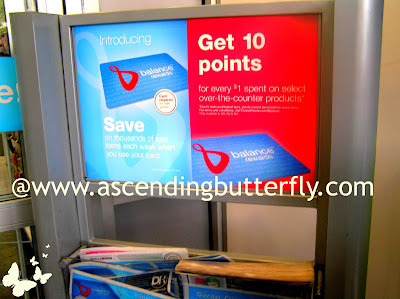 Ƹ̵̡Ӝ̵̨̄Ʒ - Duane Reade customers who join Balance Rewards will now be able to earn points and savings on thousands of items in store and online at www.walgreens.com. Ƹ̵̡Ӝ̵̨̄Ʒ - Members can earn points for making healthy choices, including 10 points for every mile logged in the Walk with Walgreens program. You can earn points for walking up to 100 miles per month. Ƹ̵̡Ӝ̵̨̄Ʒ - Duane Reade Balance Rewards members will also earn 10 points per $1.00 spent for every purchase of non-prescription vitamin, cough, cold, pain or sleep medication at stores located in NY, NJ or AR where points cannot be earned on pharmacy items due to regulations. Ƹ̵̡Ӝ̵̨̄Ʒ - AARP members will get exclusive 5 bonus point offers and 5,000 points when they spend $25 every month. 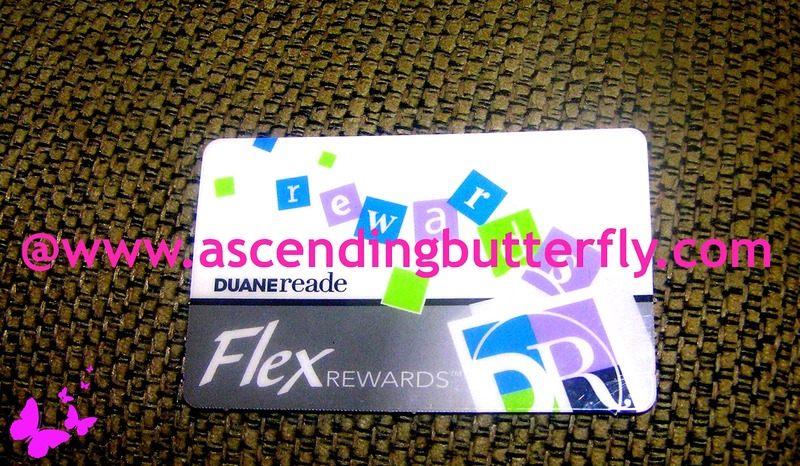 Ƹ̵̡Ӝ̵̨̄Ʒ - Duane Reade Flex Rewards program points will be converted to Balance Rewards and become available when customers join in the new program. Ƹ̵̡Ӝ̵̨̄Ʒ - Duane Reade customers converting from FlexRewards will now have the opportunity to earn more bonus point offers on a weekly basis that can lead to a faster $5 reward redemption than ever before. Points go further as you earn more. Still have Questions? You can always reach Duane Reade's Customer Service and they will help you! It was super easy to make the swap, the cashier scanned my old card, there was some info that needed to be filled in and I gave it to her and she typed it in, and then I hit a button to confirm that the details were now correct and they handed me the new card and a smaller one to put on my keychain. I got enough bonus points + points with my first purchase post conversion to get a $5 reward that I could use on my next purchase, or I can just wait until I have a 1,920 more points to be able to get a $10 reward instead of a $5 reward, which is pretty cool! I like getting rewards for my day to day purchases, it makes my inner 'fab frugalista' super happy! Butterfly Did You Make the NEW Balance Rewards Swap Yet? FTC Disclosure: I am a member of the Collective Bias™ Social Fabric® Community. This shop has been compensated as part of a social shopper insights study for Collective Bias™. #CBias #SocialFabric #DRBalanceRewards I am a Duane Reade VIP Blogger and Ambassador which does entitle me to additional incentives. However, all opinions expressed are 100% my own.